One of the joys of living in a warm zone line California and Florida is the ability to grow delicious citrus fruit. From oranges and grapefruits to lemons and limes, fresh citrus packs a tasty, vitamin-rich punch. What happens when there is trouble in paradise and one of your beloved citrus trees shows signs of distress? 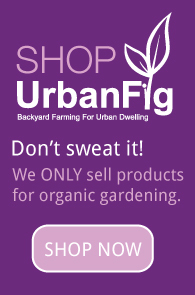 Why, you just visit UrbanFig to find out the answer, of course! HELP! My lemon tree leaves are turning yellow! 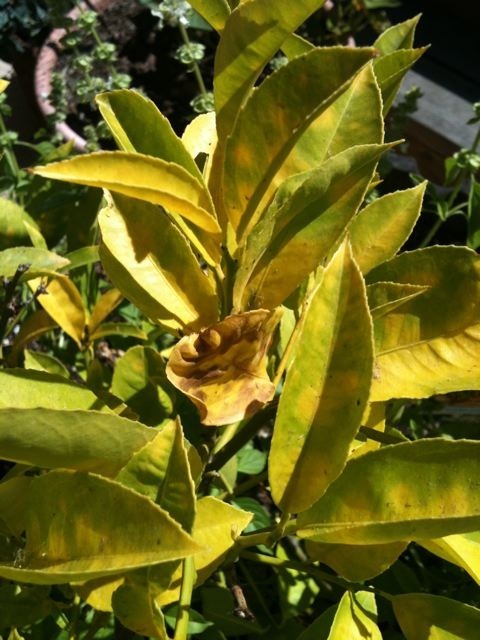 There are two primary reasons for lemon tree leaves turning yellow, both of which are pretty easy to deal with. Chill out with the watering! You’re overdoing it and the citrus trees don’t like it very much. A good rule of thumb for the most part is to water your citrus trees deeply just once a week. They don’t need more than that. If you aren’t watering excessively, then have a look at the soil. Is it possible that you have poor drainage? Citrus trees don’t like wet feet, so they need to have adequate drainage to flourish and stay green. Another possibility is that your lemon tree is crying out for more Nitrogen. Side dress with a Nitrogen-rich fertilizer and your yellow leaves should be a thing of the past. It is important to note that once your leaves begin to turn yellow, they won’t turn green again. You will have to watch for new leaves to see an improvement in your lemon trees. As always, if you have any questions, please let us know by leaving a comment below! what kind of nitrogen rich fertilizer do I use on my lemon &tanderie trees. Compost is also rich in nitrogen. Try adding some citrus fertilizer and some compost and see how it goes. Remember, new leaves have to grow out before your lemon tree will start looking healthier, the yellow leaves will not turn green. So give it a few weeks and see what the new leaves look like. Happy Gardening! My Meyer Lemon has many yellow leaves. When you say it may be crying out for more Nitrogen, can you tell me which fertilizer is the best? My meyer lemon got root rot and lost almost all it’s leaves. It keeps blooming but will not grow any new branches or leaves . If only has about four leaves left on it .what could I do to make it grow new leaves? Hi – Unfortunately root rot is difficult to get any plant to fully revive after that. You can let it dry out and see what happens or attempt to propagate it, but that can be tricky… You might have to start over. But on the positive side, it sounds like it’s still trying to make it, so give it a little time and don’t water it much at all. Skip a week or two. I’m having to bring my lemon tree in at night because the temps are getting down to 32. Is this a good idea,or should I just leave it out all winter in the ice and snow? Keeping it out of the freezing cold is definitely a good move. Lemon trees can die in freezing temperatures. You can also cover them in heavy plastic overnight too. I have a small orange tree, and I noticed that the trunk of the tree has some white film almost like cotton, could you please let me know how I can help my little tree, also some of he leafs are drying and turning brown. Thank you for your help. Sounds like you have a fungus. Take a photo of it and bring it to the nursery as well as the leaves. Good luck!